Everybody’s favourite board game is back to terrorize and kidnap children! Only this time, it’s a video game! 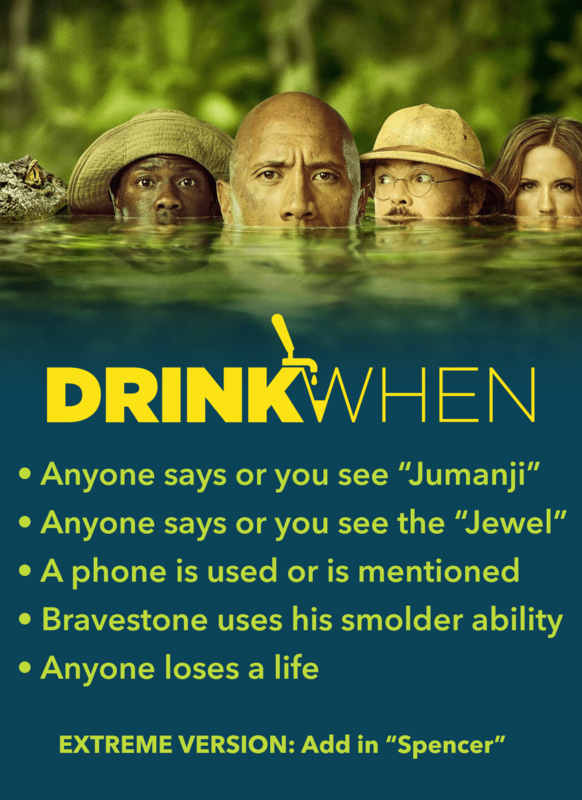 This pleasantly diverting film sees four teenagers transported into the virtual jungle of Jumanji in the forms of avatars played by Dwayne Johnson, Kevin Hart, Karen Gillan, and Jack Black. All of the actors have a great time in this movie, particularly Jack Black who gives a hilarious yet empathetic performance as the avatar for a young Instagram model. If you’re looking for easy entertainment for the whole family paired with plenty of video game jokes, you have come to the right place.